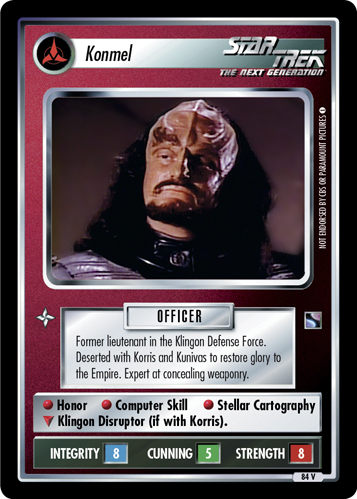 High cleric of Boreth. 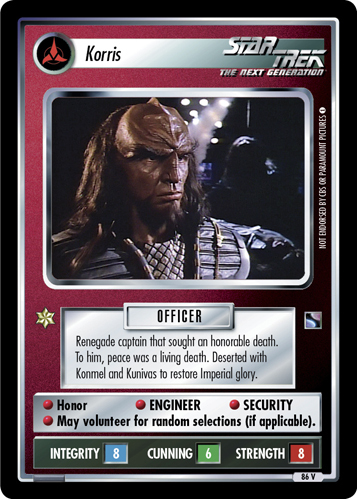 Responsible for cloning Kahless in an attempt to restore hope to his people. 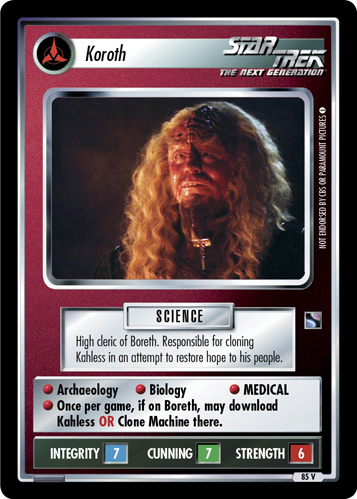 • Archaeology • Biology • MEDICAL • Once per game, if on Boreth, may download Kahless OR Clone Machine there.